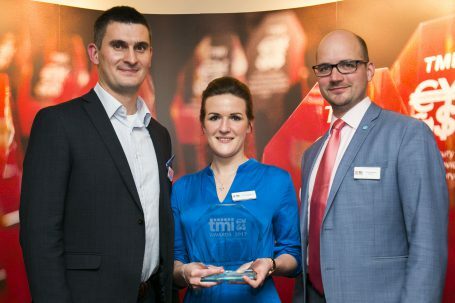 Kiwi.com won in the category Global Payments and Collections Solution (Corporate Recognition category) in the 2017 TMI Awards for Innovation and Excellence in Treasury Management. Kiwi.com, the innovative travel search and booking engine, has been recognized for its original approach to managing payments and collections, as well as cross currency flows. Kiwi.com has experienced remarkable growth since its establishment in 2012, necessitating a full review of its finance operations to manage the current and anticipated pace of growth. One of the key challenges was managing global payments and collections, while a smooth payment experience for customers through the platform was critical for the continued growth of the business client satisfaction. Kiwi.com appointed Citi to review their processes and systems, and together they developed a multi-faceted solution to meet current and future needs. This solution has been awarded a prestigious TMI award for Global Payments and Collections Solution. The solution is based on CitiFX Instant FX, a multi-currency pricing solution that provides streaming and guaranteed foreign exchange rates, enabling Kiwi.com to provide local currency pricing to customers whilst managing foreign exchange risk effectively and streamlining payments. At the same time, the use of virtual card accounts allows Kiwi.com to lock in margins and increase efficiency and control over supplier payments. As the number of digital businesses grows, many of which operate internationally, the value of efficient payment and collection solutions with integrated foreign exchange risk capabilities will continue to increase. “Our users now get even better prices for flight tickets and are no longer reliant on the unpredictable conversion rates provided by traditional bank technologies, payment processors and card schemes,” Strieženec adds. Established in 1998, the TMI Awards are firmly recognized as the quality benchmark for the treasury profession, formally recognizing those organizations and teams that are driving innovation and best practices in treasury management across the globe. 2017 saw TMI receiving the highest number of submissions for the Corporate Recognition Awards in the history of the competition. The awards were presented in London in February at a ceremony organized by Treasury Management International. Further details about the award are available at www.treasury-management.com. This is the second prestigious international Treasury Award for Kiwi.com, in 2016 Kiwi.com received the Highly Commended for Best Foreign Exchange solution Adam Smith Award from the distinguished Treasury Today Magazine.